There’s nothing like the scent and flavor of fresh basil. Basil is native to India but has been cultivated for centuries in the Mediterranean and South Asian countries. Caring for a basil plant isn’t tricky but it does have specific watering needs that vary from the time it is a little sprout to when it matures to a large bush. A few basil watering tips are described in detail below. Basil is a tender annual that will not survive in zones below USDA zone 10, but it grows beautifully as a summer annual in all zones down to 4. Basil is generally planted in May, but you can start it earlier indoors. The plant needs well-drained soil with at least six to eight hours of bright sunlight per day. The best growth is achieved with 10 to 12 hours of light per day, but this can lead to the plant drying out if it is potted. Knowing how to water basil plants will help ensure a high yield of the flavorful leaves over the entire season. Basil starts should be sown at least six to eight weeks before planting out. In regions with short growing seasons, this should be even earlier for fully producing plants. While considered an annual, you can grow basil in a container and bring it indoors for longer production. Eventually, this tender herb will flower and die even as a houseplant. Flowering is discouraged, as it reduces leaf production and flowering is promoted by drying out. The flowers are pretty but not useful in cuisine, though they are edible. For this reason, basil plant watering is crucial. New and established plants require consistent moisture but cannot be left soggy. It is a fine line that cannot be crossed because overwatering will cause the plant stems to mildew and rot. Plants started indoors in flats should be misted every other day. Watch the soil carefully for signs of mildew or fungus, as moist, warm earth may form these potentially damaging conditions. Either one will cause damping off of the seedling basil. Watering for basil babies provides consistently damp soil. At seedling stage they cannot handle a deep watering like adult plants can whether in the ground or container situations. Use a sprayer or plant mister to moisten the top layer of soil as the plant germinates and once you see sprouts. 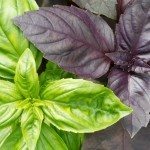 Don’t let soil dry out but also don’t let soil become soggy when watering a basil plant. Seriously, the best basil watering tips include simply to sticking a finger in the soil. This works especially well for a container-raised plant. Test both the top of the soil and the drainage holes at the bottom. The top should feel cool and dry, while the bottom should be cool and moderately damp. In the ground, this is a bit harder to determine but the plant needs deep watering at least once per week in full sun situations where the soil drains well. A novice gardener may want to use a soil moisture meter for basil plant watering. 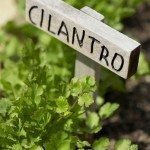 This will determine if the soil is moderately moist and prevent over- and under-watering. 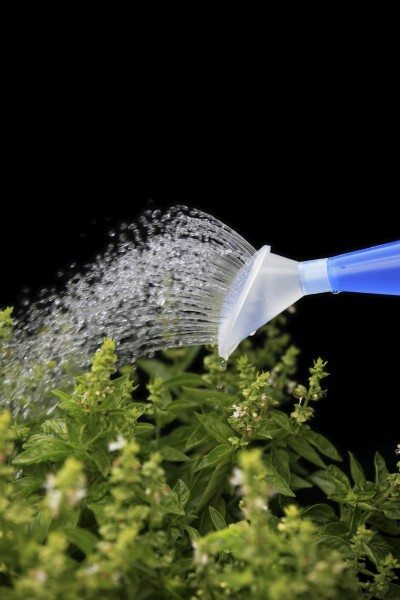 Watering for basil plants is generally a weekly chore but management of the moisture levels is crucial to preventing excess moisture that can cause rotting and reduced production and appearance. 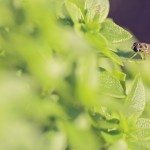 BasilBasil Plant And Flies: Does Basil Keep Flies Away?